Why: A case study in the strength of the human will in the face of unimaginably horrible circumstances. I know some entrepreneurs. I know that it’s not an easy life. For every exhilarating victory, there may be countless agonizing setbacks, enough to make a person downright gloomy. But there is one characteristic shared by successful entrepreneurs that protects them from—or perhaps blinds them to—the downsides, a quality that keeps them going when the going is tough. That quality is perseverance. 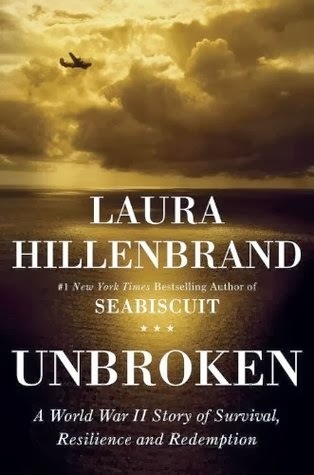 Laura Hillenbrand’s Unbroken is not, by any stretch of the imagination, about business. It’s not about products, markets, or money. It isn’t about achieving goals, unless you count just staying alive under unimaginably horrible circumstances to be a goal. It is, however, about perseverance, about doing what you need to do to get where you want to be. This book was Time Magazine’s Best Nonfiction Book of the Year for 2010, and for good reason. In a nutshell, an Olympic runner joins the army air corps in 1941, crashes while on a rescue mission, is lost at sea for over a month, is captured by the Japanese, is beaten savagely and repeatedly while in captivity, and returns home at the end of the war to a raging case of PTSD, which he overcomes to lead a long and productive life. He is, in fact, still alive, and at age 97 is working with his close friend Angelina Jolie to film his story. If you’ve hit a bad patch, maybe this book will help put things in perspective.